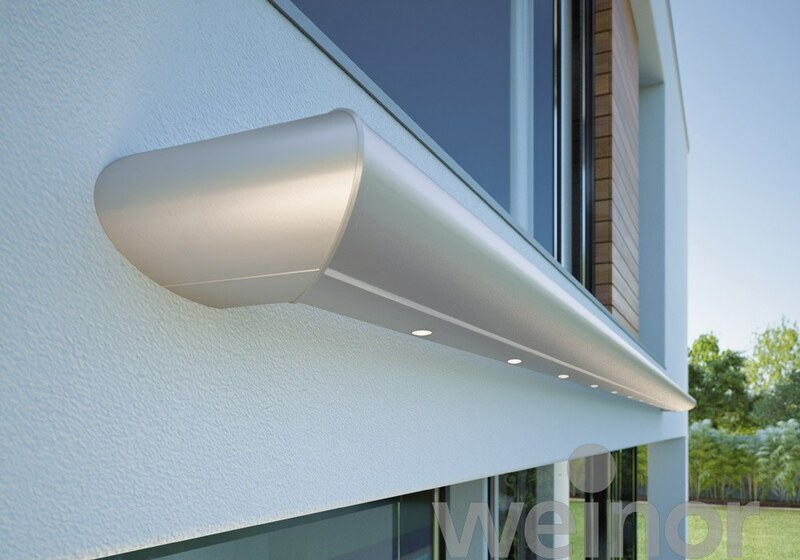 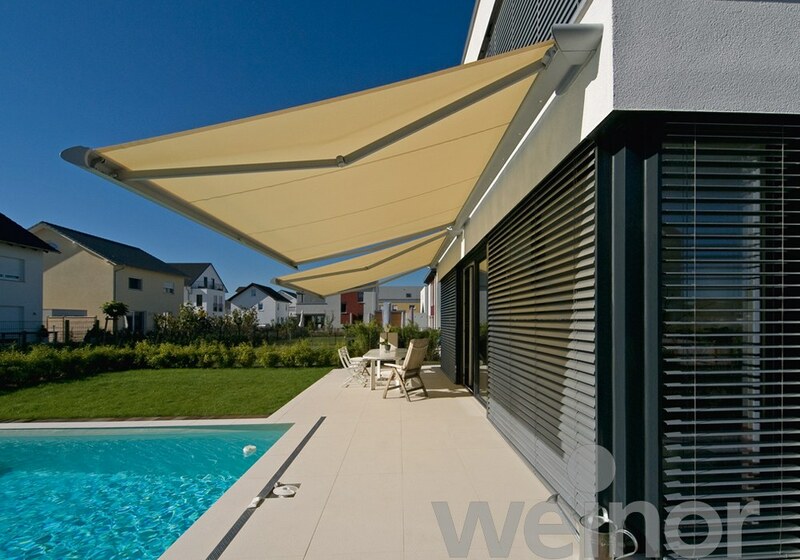 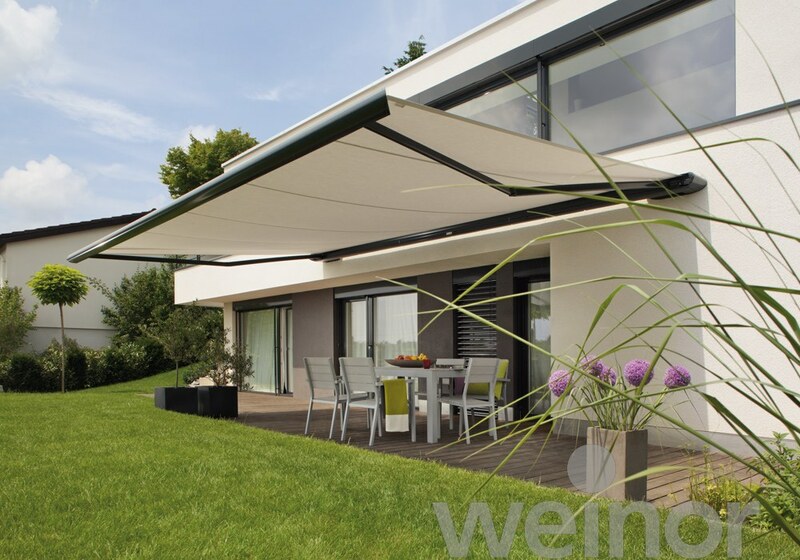 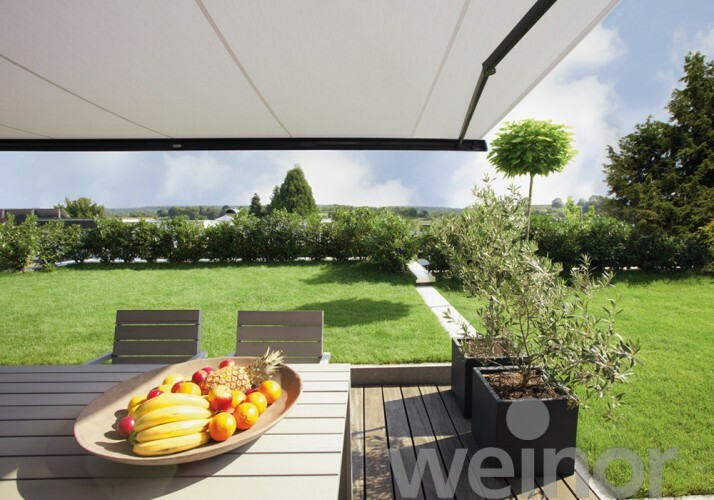 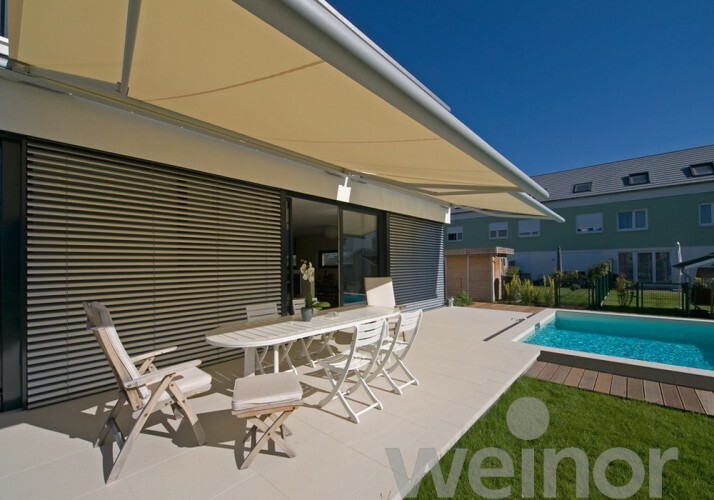 The avantgarde shape of the weinor Zenara makes it the designer awning among all awnings and shades. 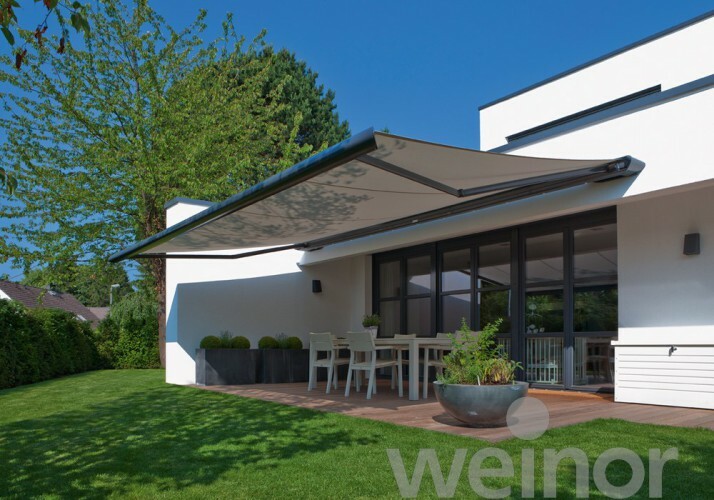 On modern houses, this cassette awning engages in harmonious dialogue with the facade, while on older buildings it provides a tantalising contrast. 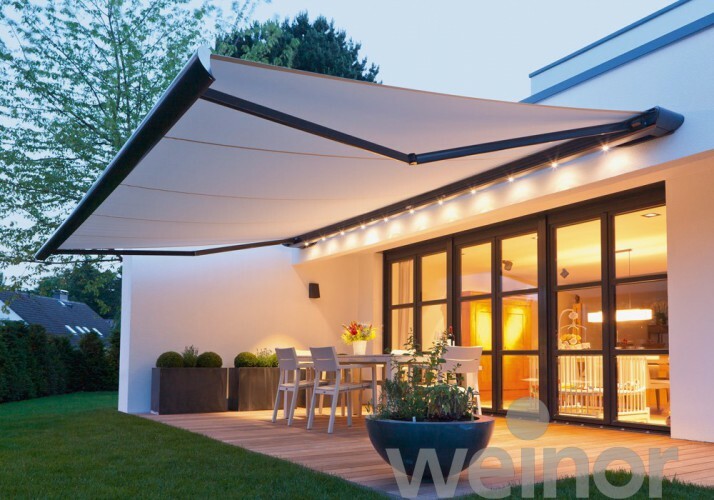 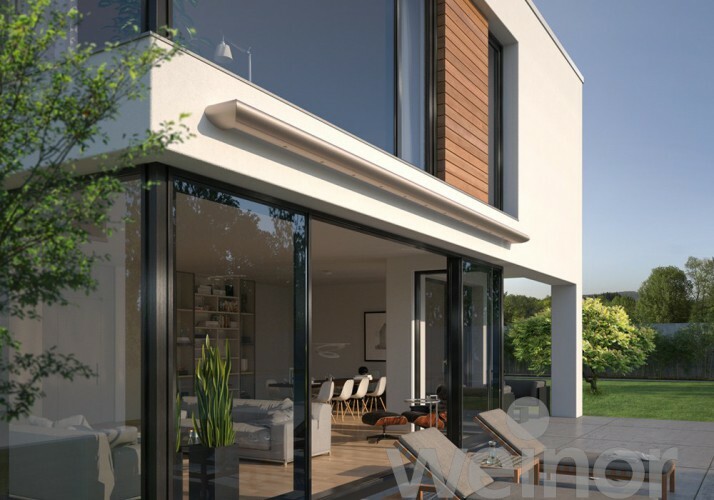 Since even the larger-sized versions measuring up to 6.5 m in width need just two wall connections, the weinor Zenara merges beautifully with the house to form a single whole. 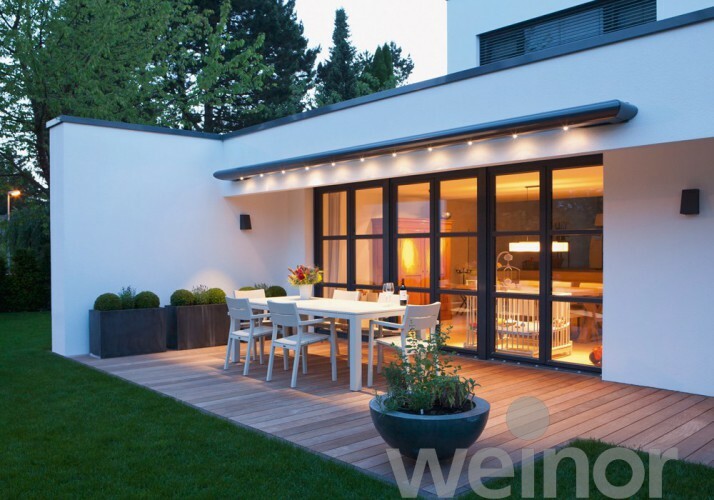 With its numerous innovations, the Zenara is also a true avantgardist in engineering terms. 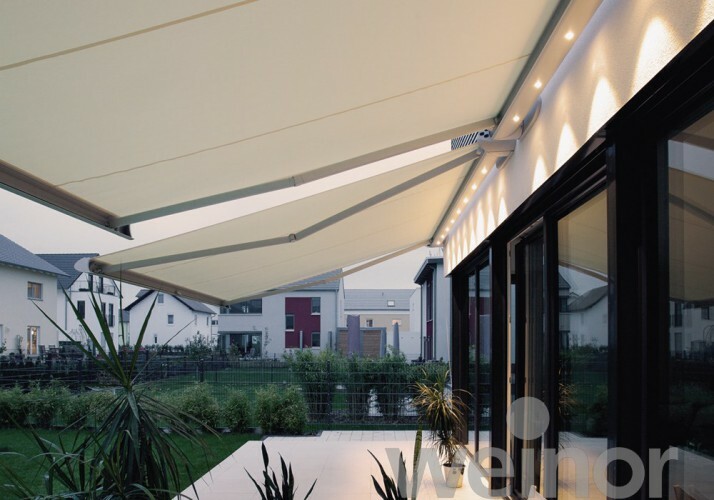 All of the technical components are concealed in the housing to save space. 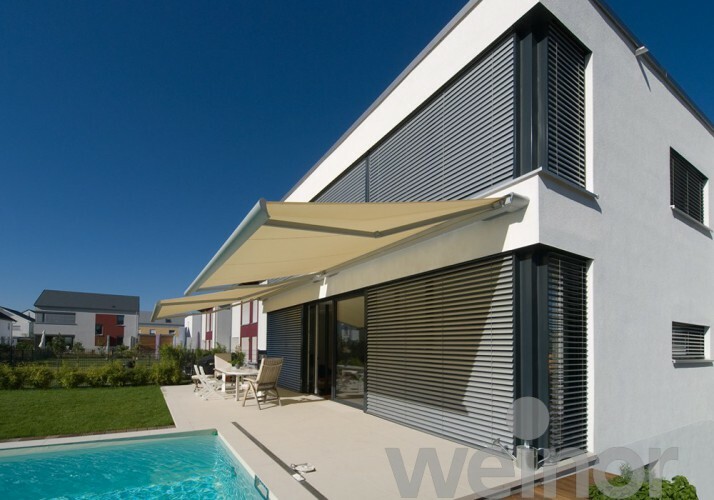 The advantage: no visible brackets, fixings or cover caps. The pleasant warm white light that comes with the Zenara LED gives you endless hours of joy well into the evening. 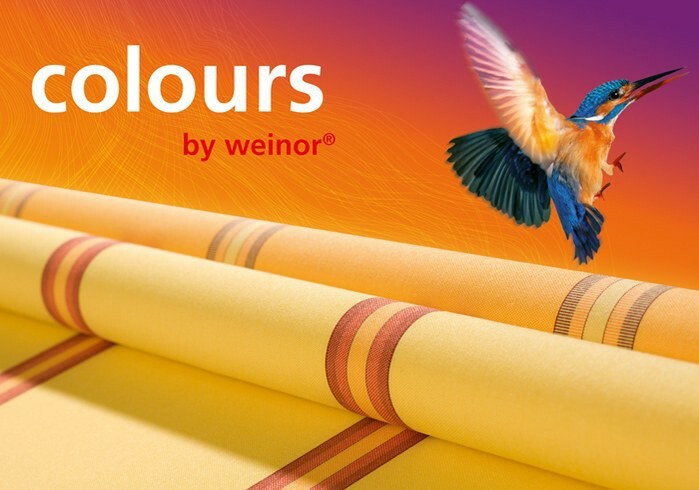 Visit our ‘Weinor Fabric Colours‘ page for more information.